If you have oily skin you will know how annoying a shiny face is or how your makeup has slipped off by lunchtime. Powder is the usual product we reach for to combat the shine and this works but after a few hours of touching up with powder skin can sometimes look a little caked. When skin is over powdered it also looks flat, dull and pores and fine lines are magnified. Blot sheets are a nice alternative to powder or a nice addition to be used with powder. If you haven't used these before they are basically thin tracing paper style sheets, which are usually coated with an oil absorbing powder. By gently placing the sheets on the oily areas the oil transfers onto the sheet and leaves your skin with a matter finish whilst makeup underneath is mostly left un disturbed. I sometimes use these sheets before I powder my skin. I feel it feels nicer to blot off the oil and then dust the powder onto the oil free skin. If you like to do this then go for one of the cheaper brands as you will get through a pack of sheets pretty quick! If you need to use a sheet once or twice a day then treat yourself to a more luxury brand. 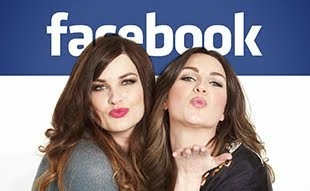 Here's a run down of our favourites.. These are the king of blotting sheets. Yes they are very expensive for 100 pieces of paper however if you have a very oily skin that you struggle to control then these are great. The sheets are also a lot larger that others we have tried and 100 sheets is a lot compared to other brands. The sheets come in a cute plastic pouch as well. Slightly fragranced with a floral scent these blue sheets are coated with Kaolin which absorbs the oil. Sheets instantly capture the oil with little pressure needed. Makeup underneath is only slightly transferred depending on the type of base you have on. Smaller rectangular sheets. As you pull one out the next sheet sticks to the lid of the packet to make it easier to pull out. These sheets absorb oil easily although they do become quickly saturated with the oil and as they are smaller you don't get as much usage. Makeup is not transferred at all with these sheets and skin is left matte. 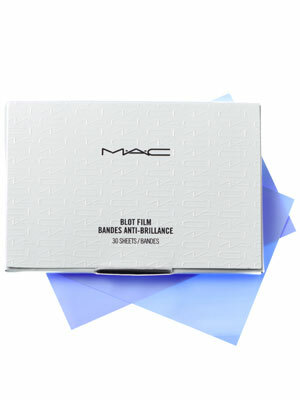 I have only tried the matte face sheets which absorbed well but similar to the MAC ones the sheets became saturated and more than one sheet was needed for one blotting session! The sheets are more of a tracing paper texture rather than a soft silky sheet like the others. These sheets are great value and have great absorption. Easily to pull out and if you are feeling flush you can even purchase a special case to put them in. The case is a black faux leather, mirrored refillable pouch that comes with one set of tissues inside. You can then refill it once you have finished. Priced at £17.00 if you want the case as well. Lovely! 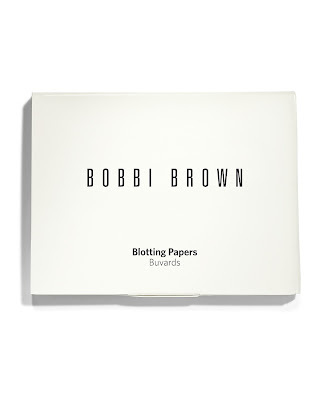 I've been looking for some good blotting sheets for a while. I've never tried blotting sheets before, but this is really informative and I'm tempted to buy some now! It's nice how NYX have tailored different ones to different purposes. WOW a friend gave me one to try once. I was shocked how much oil it soaked up I could of done some deep frying with it. Definitely worth the investment. I think she was just using like the Clearasil ones which she said were quite cheap. I have oily skin and have loved the Green Teablotting papers by Boscia for a long time, $10 for a packet of 100 from Sephora. You can order them from the UK on some websites. I totally recommend them as they absorb all of the oil whilst only a small amount of makeup is transferred. Great value too! 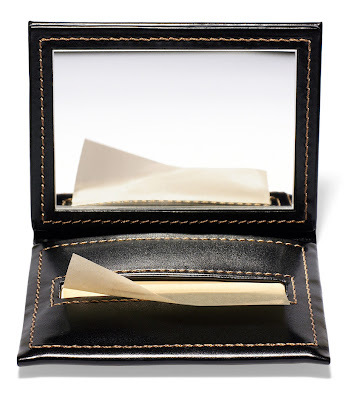 I have oily skin and have loved the Green Tea blotting papers by Boscia for a long time. $10 for a packet of 100 papers from Sephora (also available in the UK from some websites). Totally totally recommend them as they absorb all of the oil, only transfer a small amount of makeup and are great value! 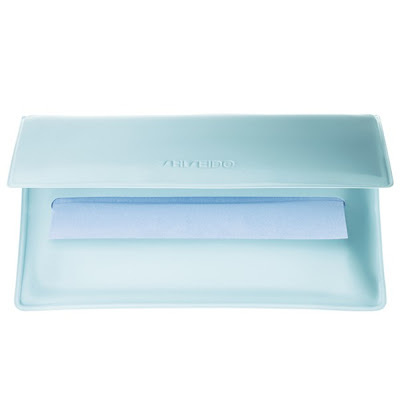 I have used blotting sheets for quite a few years now and find them very effective, I usually buy a load when I am in Bangkok as the chemists there sell a wide range and they are cheap too. I can't quite see the point in spending extra money on a faux leather holder for them though.... I do need to stock up though so will check out the chemists in the UK maybe give the NYX ones a go. I just bought blotting sheets from Actibel at Maquillalia's page, very cheap and usefull. Thank u it's really helpful ^^ for summer Time . 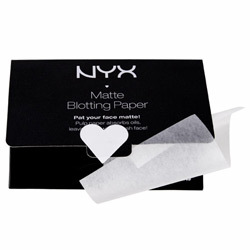 I would love to try blotting sheets but I've found it really hard to get hold of them.